The 2018 Honda CR-V, America’s best-selling SUV over the past 20 years1, went on sale today at dealerships nationwide. The 2018 model year CR-V starts at a Manufacturer’s Suggested Retail Price (MSRP) of $24,1502 for the LX (2WD) with the range-topping Touring (AWD) at $34,0502. With its premium design, big versatility and fun-to-drive persona, CR-V has collected numerous accolades including the J.D. Power “2017 U.S. APEAL Study Award”, the “2017 Best New Car for Teens” by U.S. News & World Report and earned the “Must Test Drive” Award by Autotrader. Similar to the other vehicles in the Honda line-up, the 2018 Honda CR-V provides drivers with premium features for a more convenient and comfortable in-vehicle connectivity experience. Available premium features include Apple CarPlay™ and Android Auto™ compatibility, SiriusXM®, HD Radio™ and Pandora® capabilities. 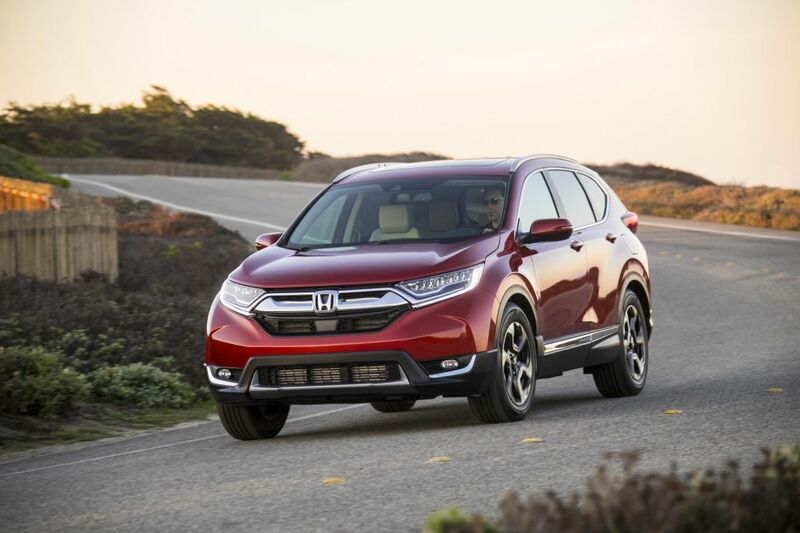 All new in 2017, the 2018 CR-V returns with a responsive and fuel efficient 1.5-liter DOHC direct-injected and turbocharged in-line 4-cylinder engine rated at 190 peak horsepower (SAE net), available in EX and higher trims. Paired with the intelligently tuned continuously variable transmission (CVT) with Honda G-Shift control logic, 1.5-liter front-drive CR-Vs garner the highest EPA fuel economy ratings in the compact SUV class. A 2.4-liter DOHC, direct-injected in-line 4-cylinder i-VTEC engine with 184 peak horsepower (SAE net), also backed by the CVT, powers LX trims. Designed and tuned to be fun-to-drive, yet quiet and comfortable, CR-V’s sophisticated chassis features a MacPherson strut front suspension, multi-link rear suspension with floating subframe, dual-pinion variable-ratio electric power steering, fluid-filled suspension compliance bushings, front and rear stabilizer bars and more. Backed by a rigid yet light body structure, the CR-V makes short work of twisty country roads, broken urban streets and everything in between. The 2018 CR-V sets the bar for interior refinement, utility and premium features in the compact SUV class. It’s spacious cabin, with the best rear seat legroom in its class and large, flexible cargo area, features upgraded materials throughout, including a soft-touch instrument panel and intricately stitched seats. Additionally, it offers the latest in-vehicle connectivity and audio performance with a host of advanced technologies. Available features include a 7-inch touchscreen Display Audio interface with Android operating system that features a physical volume knob as well as an available Honda Satellite-Linked Navigation System™ developed in cooperation with the experts at Garmin®. Some of the key comfort and convenience features available on the 2018 Honda CR-V include remote engine start, dual-zone climate controls, heated side mirrors, a space-saving and convenient Electric Parking Brake (EPB), rear USB charging ports, front passenger seat with 4-way power adjustment and driver’s seat with 8-way power adjustment and 4-way power lumbar support, and heated front seats.